Volunteer Park is loaded with fun activities and incredible history, but nothing is a bigger draw to me than the Volunteer Park Water Tower. 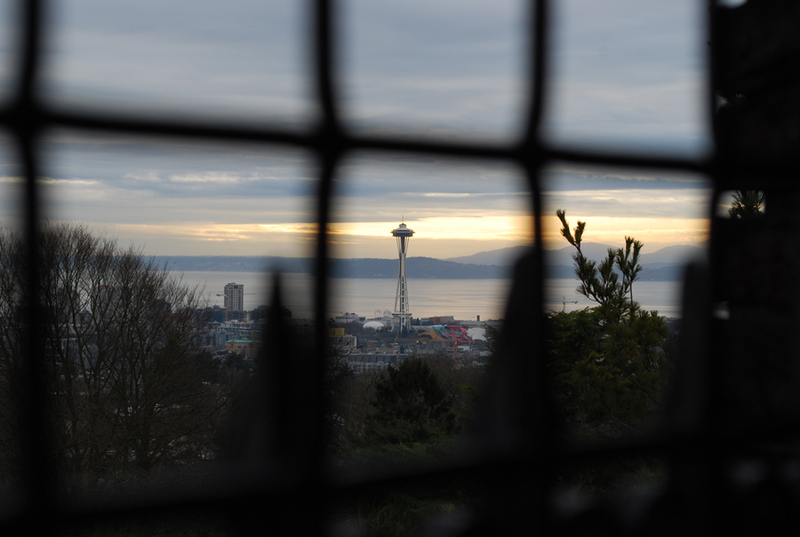 More than 100-years-old, the Volunteer Park Water Tower provides a little bit of exercise and a fun view of Seattle that you can’t find anywhere else. 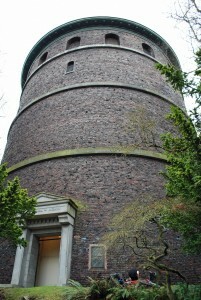 Built in 1906, the Volunteer Park Water Tower (1247 15th Ave E.) is located in the southeast corner of Volunteer Park. It’s pretty hard to miss. The tower stands more than 75-feet tall, and since it sits on top of Capitol Hill, the Volunteer Park Water Tower actually reaches an overall elevation of 520-feet, making it the highest point on Capitol Hill. Here’s the best part: you can climb the 107 stairs to the top and soak in 360-degree view of Seattle. 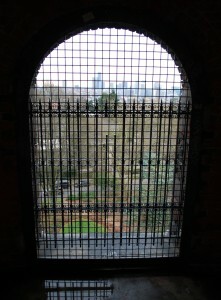 At the top of the tower, there are several open windows for you to look through. There are bars and grating on all the windows, but unless you’re trying to take pictures, it doesn’t stop you from enjoying the view. There are also several high trees in the area, but you can still see downtown Seattle, the Space Needle (which reaches a maximum elevation of 725-feet — just 205-feet higher than the Volunteer Park Water Tower), Puget Sound, Bellevue and much more. The view of Seattle from Volunteer Park Water Tower. A lot of people don’t realize you can walk to the top of the Volunteer Park Water Tower. My mom has lived in Seattle for more than 25 years, and she was surprised when I recently took her to the observation deck. Many folks who do know about the tower say it’s their favorite view of Seattle. 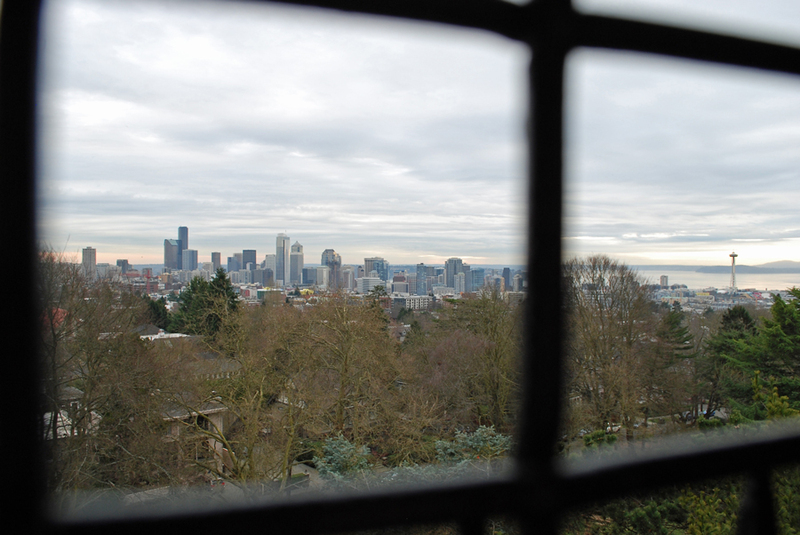 Since Volunteer Park is open daily from 6am-11pm, you can take in the view from the top of the Volunteer Park Water Tower day or night. Plus, it’s absolutely free. It just takes a little work to get to the top. Believe it or not, the Volunteer Park Water Tower is also popular for rock climbers. Since the tower is made of uneven brick, it allows them to grab a hold and either climb to the top or traverse along the base. I’m not really sure about the legality of it all, but to each their own. NOTE: I’m not encouraging or suggesting you climb, traverse, or rappel from the Volunteer Park Water Tower, I’m simply mentioning that people do it. I’m always on the prowl for the best views of Seattle, and the Volunteer Park Water Tower provides another fun option to check out. It’s a great place for a little exercise (whether you’re climbing stairs or the outside of the tower) and you definitely can’t beat the price (again, it’s FREE). 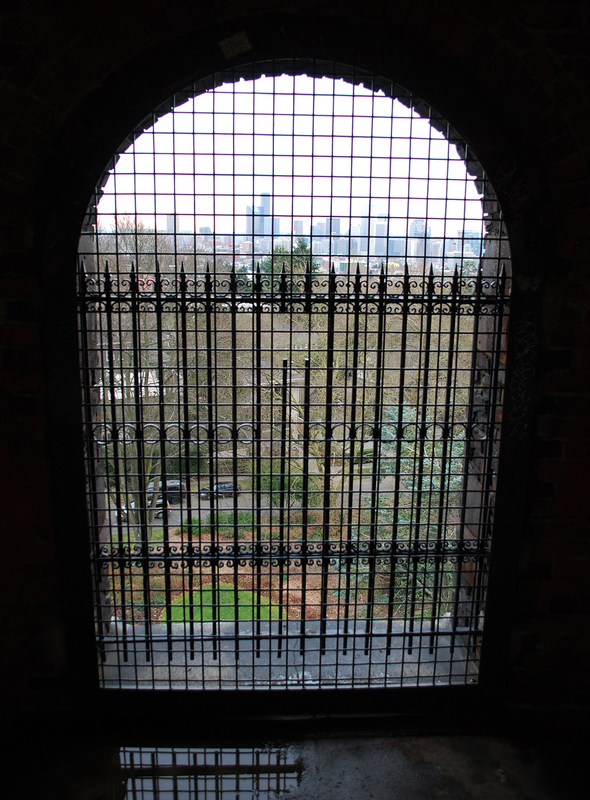 Have you ever taken in the view of Seattle from the Volunteer Park Water Tower? What did you think of the experience? We’d love to hear from you! Please leave a comment below or connect with us on Twitter, Facebook, and Google+. 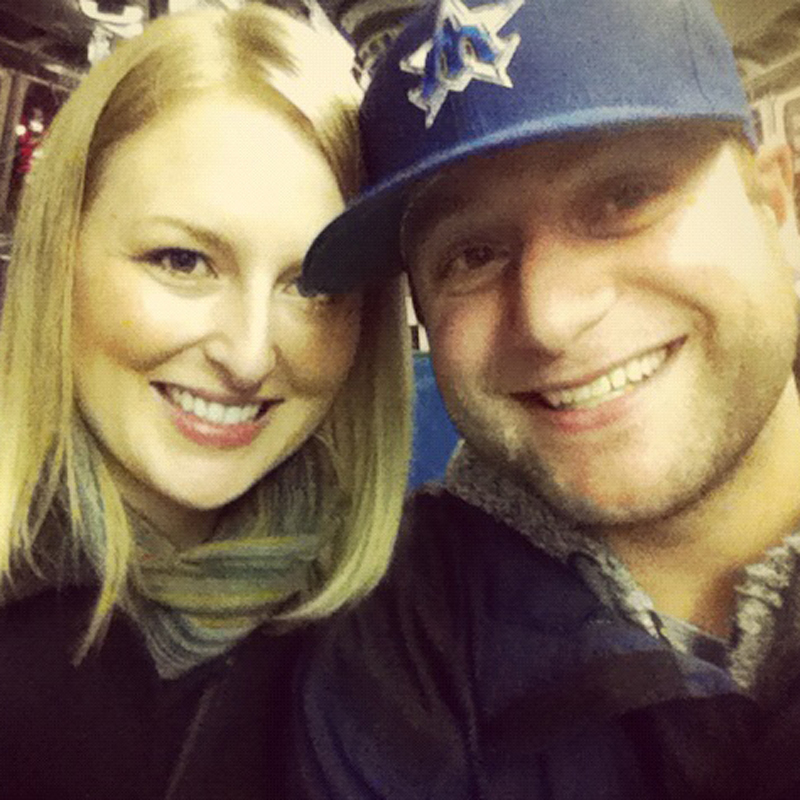 Don’t forget to also check out Seattle Bloggers for more cool places to check out around the Emerald City and beyond. Who designed the water tower? Was it Walter RB Willcox? That’s a good question, Norman. I’m not sure. All I can find is information on Wikipedia that says the tower was built by the water department in 1906. Here is a letter from Walter R.B. Willcox to his brother Arthur in London. Scan down to the 9th paragraph. A few days ago arrived a couple of numbers of the railway world for which I expect I have you to thank. They served as an excellent reminder that I am indebted to you all for a letter received some time last summer or fall,–you were on your vacation, I think. Needless to say I’m aware it should have been answered long since, but you can understand, I doubt not, that there are things happening every day in a man’s life calculated to eliminate friendly correspondence from the day’s programme. Hence I attempt no apologies. I was glad to have your letter, glad to have the journals, and I’m glad to have felt an inspiration to write you. The particular occasion is an evening at home alone and a disinclination to tackle some of the many things that have piled up ahead of me. Left you might infer that these things directly concern a mammoth private practice, I hasten to say that such is not the case, but rather that owing to circumstances I find myself in this new country engage with a variety of more or less public enterprises, of which you may have heard from other. This is my second term as Secretary of the local branch–the Washington State chapter–of the American Institute of Architects. A year ago I was sent as delegates to the national convention to Washington, which was are especially grateful duty since it gave me opportunity to visit mother and the folks east. Last January I was again cent of delegate to the national convention which was held in San Francisco. At this convention I was favoured with promotion to the grade a fellow which is comparable to a similar recognition in the British Society of architects. It just so happens that I was the first architect ever admitted to the institute as associate from the state of Vermont and now I am the second to receive the rank of fellow from the state of Washington. Since the convention I have received appointment to to rather important committees of the institute, both of which seem to have arisen from my own activities. At the Washington convention certain dispute arose as to a matter of policy and unwittingly I joined in a debate setting forth a views held among us here in the northwest. Unwittingly, I say, because I was unaware of the inside politics of the organisation and being the new delegate did not realise how the men from New York and the larger eastern cities controlled the policy of the institute simply by ignoring or intimidating the men from less populous districts. It never occurred to me that I should accept their views on question and the consequence was that the way it seemed best to the east and crowd to smooth the matter over was to refer the point at issue to a committee dealing with the general theme under discussion. I now find myself on the committee to straighten out the course involved. The other committee follows directly from a series of events. A year or more ago I was named a member of the committee from the chapter to meet in conference with committee’s from the chamber of commerce and commercial club to devise the scheme for obtaining a plan for the future development of the city. We worked out an amendment to the city charter which after some work was passed by the people by healthy majority. It called for a commission for the purpose of preparing the comprehensive plan for the future extension and growth of the city–the waterfront, docs, etc., Railroad facilities, bourbon rapid transit lines, new highways, public building group, etc. etc. Each of various organisations named two men for the commission one of whom the Mayor was to appoint. The choice from the chapter fell to me and I have been attending every second Thursday for over a year the regular meetings of the commission as well as putting in a lot of time on various parts of the work. My particular committee concerns the location of public buildings, etc. In connection with this work–which is similar to that being done in many American cities along rather different lines from similar work in Europe–we found that certain information, if obtained by some national organization and available to communities engaging upon such work would be of great assistance. Consequently at the San Francisco a delegation from the Washington chapter offered a resolution looking toward that end which was unanimously carried and the outcome is being that I have been named on the committee. That I should have been selected is due doubtless to the fact that my getting the fellowship gave me some supposed prominence. This latter committee holds the chance for a large amount of real good to the whole country and I’m glad to have something to do with it. All these things it is said indicate that I am the logical next president of the chapter. I have not the slightest idea and I’m well aware that I shall never lift a finger nor after a word to get the job. So far these various things have seemed to come to me for reasons other than any worthiness on my part and if that comes it will add another to the list. As another side issue and just beginning duties as managing editor Chris Moore architectural journal to be issued monthly. It originates as a means of financing an architectural exhibition and falls in line with a dream of a couple of us–A trade journalist here and myself–for an architectural journal of unusual character. Most such journals are intended to interest the profession and serve it directly with practically no appeal to the man on the street. It has seemed to me that the man on the street would find interest and benefit in a journal which would interpret architecture to him as part of the evolution of a nation with its source in the past well established: that is, let him see by comparative treatment of modern architecture in relation with historic types etc. that it is something besides an arbitrary and simply ingenious arrangement of building materials. If the idea makes good such a journal might go far to instruct public in the ideals towards which it should aim. The first number which will be out in a couple of weeks is to be actually little more than a catalogue to the current exhibition, which, this year, is to be a relatively small show of domestic work exclusively. Incidental to my duties more appropriately connected with the editorship I have designed a cover which may interest you to know, whether or not the design is worthwhile. As yet I have not seen it we produce having any finished a drawing Saturday last. As for the plant’s commission we are within three months of our official report which goes to the people for acceptance or rejection. A number of us have been out on ” stump” trying to prepare the people for an intelligent judgment of the same. My best record was two talks of an hour each one. evening and one the next morning of the same length before ten o’clock. Outside of Chicago I question if any American City has gone into the subject with the thoroughness we have here. Our planned look ahead 50 or 75 years and embrace all the elements of a city plan. We have employed an engineer of reputation–are paying him $1500 per month, so you may judge of his probable abilities–and he has done a great work. But for instance, the bush terminal station in New York is supposed to be the highest type of port in American large measure to natural facilities we have something superior inconvenience incapacity. And all other parts of the plan have been worked out with equal completeness. As for a group of senior civil buildings that planning board is a scheme which will make permanent some of the grandeur and dignity and beauty of the Court of Honor at the Columbian exposition; not as large of course, but of most interesting character fitting excellently into the street scheme. When the report is issued I shall send you a copy and whatever of the printed stuff there may be on the subject. In the office we hammer away at various kinds of buildings though none of the importance we should like. Since the panic in 1907–which struck America while we were with you, you’ll remember–building is not been selective, but time improves the condition. The thing of chief interest just now in the office is a water tower for the city. It is to stand on the highest hill of the city visible from all around and from the bay. It arises 200 feet from its base to peak and will be built of brick and terracotta. The open story at the top is an observatory and the gargoyles are not faked ornamentation, but will to do the job of their prototypes and discharge the rainwater 6 feet or so from the face of the building. The photograph enclosed is of a plastercast from a wax model which is some of my own crude handiwork. That brings me up to date for you; I have assumed that you would be curious about the way that time is taken up here in the Pacific Northwest. I know I’m curious about how your days have taken up, house several papers are built and all the things which go to make up your life. There are things, however, outside my professional interests that engage more attention than many times I have wished I could have a talk with you about them. For instance, all the political goings on with you in England. What attitude you sustain towards the shiftings and turnings of fortune and fate with respect to your government I do not know, whether you care to endure are more or less temporary disturbance for more or less permanent improvement in conditions among mankind I do not know, but I have an idea that you will agree with me and most everybody that social conditions pretty much the world over are not in a way of betterment. Whatever the improvement in the arts, the sciences, the extension of charity schemes, and labour organizations, the increase of wealth per capita, progress towards universal peace, and all such things, the fact appears to be that the man at the bottom is as badly off as ever and has little chance if not less than ever of getting off the bottom. It seems to me to spell futility for all the work the church is occupied itself with for these years and years. The brotherhood of man seems as far removed as a full fledged working proposition is ever it did, and I guess unless the church ceases to reiterate that is all due to the inexplicable ways of providence and none of man’s affair it will stay far removed for some time to come. With us, I sometimes think a change is imminent. You probably have not had time or interest to follow our antics the to new spirit is abroad in the land. The old ” stand packed” hurrah-for-the-party no matter what the party stood for idea is passing. The old convention method of telling the people who shall represent them is becoming a back number. Today in this state I can go to the polls and vote for men as nominees and later elect from a list of such nominees. It feels better than voting for somebody a few delegates to a conventional letter the vote for, and so far it is working better. We have a so-called “recall” scheme whereby an unworthy official may be ousted and we have within a few weeks fired our mayor who thought he could run things without due regard for the wishes of the majority of the citizens. The old political machine is out of business for the present. It may be that this message will wear out, but while it serves well it is enough. Some are so tenacious of the methods employed by the lose sight of the ends to be a attained. I don’t care much how we effect things (so long as the means are honorable) just so they are effected. Up in British Columbia and they have got around to making a man who owns a piece of land with nothing on it pays much tax is the man who has a building on a similar piece of land, and not tax the building at all. That means that people are not keeping land vacant along and the absence of tax on buildings makes people do things and business of all sorts this increases. Oregon is about to come to the same plan and and in a few years when we can get our constitution changed we will adopt the same method. That will begin to put an end to the opportunity landowners now have of playing dog in a manger and neither using land themselves nor letting any anybody else use it. That sort of scheme will prevent some of our dear brothers from gathering in all the loose shekels of a community while they sit around and do nothing, or spend their time that pleasure resorts. For instance, there is a man in this town and bought a piece of land here 19 years ago for a “song”. He has paid $16,000 in taxes in the times since. For several years he has received in rents from a building which he kindly allowed to tenants to build $15,000 a year and in addition that piece of land is now valued at $475,000 which of course is recognised as his. There is a situation that makes the poor man and the high cost of living and all the attendant troubles. This man has not done a bloomin’ thing and the rest of the people of the city have to pass over to him $15,000 a year and eventually not less, than $475,000 at least, because he got here first, when if nobody else had come to live hereabouts he would need to be raising chickens on his old meadow lot. As it is, somebody has to earn the money he gets and there is a growing idea that a man has no right to what he does not learn. Let him have rental from buildingings that he builds if you please, and let the community have the funds it’s own presence create. We are (in line with this sort of reasoning) interested in the we move Lloyd George has made to get something out of the same sort of folks among you people. And that they see whither his move is likely to lead it is apparent from the way they seem to be fighting against his proposals. There is plenty of land to support all the unemployed of England is the poor folks can get next trick, but so far it seems to be useful only to extract money others earn from those you can buy a chance to use it. There is no different switching owning land and evalyn people. In either case of people do what you say or get off the earth. Sunday, if not dulled and didn’t buy such oppression house of all our idea of revolt, the notion that god made the year for all, not merely for some, men will percolate into men’s minds and then the English landlord and the American coal, iron, timber, or other Baron will have to go to work. In the meantime we busy ourselves with tariff schemes, with a monetary measures, with temperance campaigns for improving the condition of the poor, with all sorts of false things to see if there is not some way to continue for the few the chance to take the earnings of the many and still keep them any blinded to the real iniquity. And yet surprises is expressed at the growth of so-called “socialism”. The Roman proletariat was the Italian citizen deprived of his native land, and after his time came the finish; both England and America is developing the same for lit area at than the same finish will follow his increase. But I must stop go to bed for the folks have come home. Evalyn sends her love with mine to they me and the boys. How we would love to have another visit with you either in England or in Washington. The dates are not in agreement. This letter is apparently dated 1911 – though mistakes may have happened. But is it possible that the date 1906 was the date that the council approved the plan to have a water tower erected and maybe it took some years to find an architect, approve the plans and start a project? I suppose that I should try to find the original letter to check the date on it! I have a number of Walter’s letters to his brother, but I have no records of his architectural business. Did you see the relevant part in Walter R.B. Willcox letter? Regrettably I have no pictures of the tower or the model.